Let’s be honest: Port Orchard Parrots Plus has to sell things to remain in business and we need to sell them to you – our community. This website offers thousands of products from hundreds of suppliers in hopes that you will find exactly what you need, and that our prices (combined with our reputation for top-notch customer service) will make you want to buy from us. Now that we’ve got that out of the way, let us be equally honest in saying that community matters enormously to us. Without a sense of belonging, this would be just another run-of-the-mill eCommerce site that means little to anyone other than as a source of goods to be consumed. We want to be more than that to you, not just as a way of getting you to buy things from us, but so that we can feel connected to you as well. You must register and be logged in to your POParrots.com account in order to view and participate in our Community. In this section of our website you will find our growing selection of community resources that we hope you’ll find informative – but most of all fun to use. We’re all here because we love our exotic pet companions (and their non-exotic pals too! ), and connecting with others who share our passion should be fun! We hope you’ll dive right in. Let down your hair a little. Use your personal home page (your profile) to introduce yourself. Check out the profiles of other members and find new friends who share your interests, or interests you’d like to share. That’s how communities are built and that’s what we hope to make possible more than anything else we do here. Port Orchard Parrots Plus is thrilled to offer its own social network which is integrated through technological wizardry with other social networks (such as Facebook, Twitter, Instagram, etc.) so that you aren’t asked to abandon those platforms in order to participate here. You control what others can see of course, but the advantage of participating our our social network (including our dedicated, topic-specific forums) is that everyone you meet here shares your interest in – and love for exotic animals of every imaginable sort. So if the topic is exotic animals, start here, and then share links from your original content to any of the other social networks you belong to. Invite your friends from those networks to do the same and before you know it we’ll have one of the richest sources of exotic pet news, information, video, images, humor, and much more available anywhere. We dream big at Port Orchard Parrots Plus! You feel free to dream big too! We’re big on rewarding those who help us keep Port Orchard Parrots Plus going, and growing. Asking you to participate in yet another among many social networks has to come with some reward if we want this to work, and you shall have it! Simply by registering with this site you have established a Frequent Flyer Rewards account that immediately starts earning points you can use online or in our store for discounts and other goodies. Sharing products and services that we offer in your comments here (or anywhere online for that matter) establishes a link between you and anyone who ultimately purchases them. To show our gratitude for your support we will share (in additional Frequent Flyer Rewards points) a percentage of any sales that originate from your links. You are an essential component in our business model and we never, ever forget that. Thank you! Hardly a day goes by in which we aren’t asked for a referral to a local veterinarian who specializes in the care of exotic pets. To make it easier on everyone, we have created a curated directory of providers we know of, but we know it’s not yet complete. If you’re looking for a veterinarian near you who specializes in the treatment of birds, or bearded dragons, or camels for that matter, this is a good place to start. If you know of an exotic animal veterinarian who isn’t listed, please let us know and we’ll reach out to them. If you are a veterinary service provider and don’t see a listing in our directory, contact us and we’ll be happy to give you the necessary permissions to update your listing and keep it current going forward. Because we’re a relatively new space for this sort of thing, we provide this resource to you free-of-charge. You are welcome to use this listing as a fund-raising source as well as we will happily share a percentage of any sales on POParrots.com that originate through your listing with you. You’ll find a section dedicated to our own rescue/sanctuary here: Port Orchard Parrot Rescue. At the bottom of this page (and hopefully soon in a dedicated directory entry of their own) you’ll find links to other local and regional rescues and sanctuaries. “Adopt-don’t-shop” is a motto we proudly claim (though not one we coined) as our own. Sharing your life with an adopted exotic pet that has chosen you rather than being chosen by you is as rewarding an experience as any of us ever get in this life – and one that you may or may not get from buying a pet who hasn’t chosen you. If you operate a rescue or sanctuary and don’t see a listing in our directory, contact us and we’ll be happy to give you the necessary permissions to update your listing and keep it current going forward. You are welcome to use this listing as a fund-raising source as well as we will happily share a percentage of any sales on POParrots.com that originate through your listing with you. 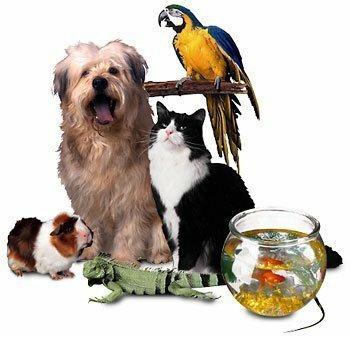 We’d also like to expand our directory to include a curated source of exotic pet breeders. We know this is a touchy subject for some – including yours truly – but we’ve come to believe over time that eliminating as much of the illegal trade in wild-caught exotic pets as possible is a worthy goal, and responsible domestic breeders play an important role in that. Let’s face it – most of us already have our exotic pets and we have them because we want to share our lives with them. Those who don’t have them yet are going to get them, one way or another. They’re not bad people, just uninformed and it’s up to us to help steer them toward resources that will best suit their needs while still protecting the lives of the animals they will inevitably acquire. Adoption will always be a central goal of Port Orchard Parrots Plus, but we accept the reality that jumping through a rescuer’s qualification hoops in order to adopt or foster a rescued animal is not for everyone. We consider it far better that someone who doesn’t have the stamina to endure that process buy a domestically bred and hand-raised pet than for one more terrified, wild-caught animal end up in inexperienced hands. If you are a respected and responsible breeder of exotic pets and don’t see a listing in our directory, contact us and we’ll be happy to give you the necessary permissions to update your listing and keep it current going forward. You are welcome to use this listing as a fund-raising source as well as we will happily share a percentage of any sales on POParrots.com that originate through your listing with you. If you are an officer of any club or service organization dedicated to exotic pets and don’t see a listing in our directory, contact us and we’ll be happy to give you the necessary permissions to update your listing and keep it current going forward. You are welcome to use this listing as a fund-raising source as well as we will happily share a percentage of any sales on POParrots.com that originate through your listing with you. Are you something of an expert (credentialed or not) in an area of interest to other exotic pet owner/guardians? Why not blog about it here (or let us integrate your existing blog here)? The same rewards that apply to everyone else for their contributions to our success apply to you too. Let us know how we can help you share what you know with others. Do you make products for exotic animals? Would you like to have an online business or your own, and/or offer affiliate links to your existing business? No technical expertise required (we’ve got that covered). Let us know what you do and how we can help you succeed at it!